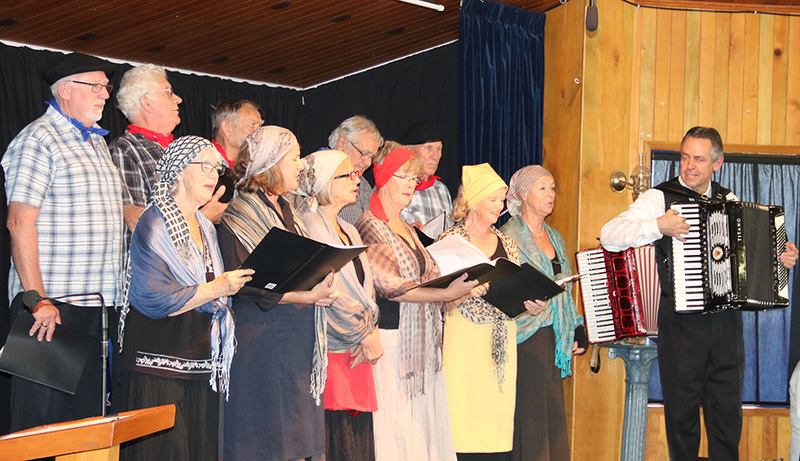 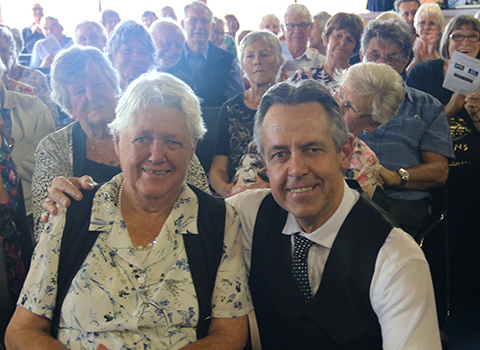 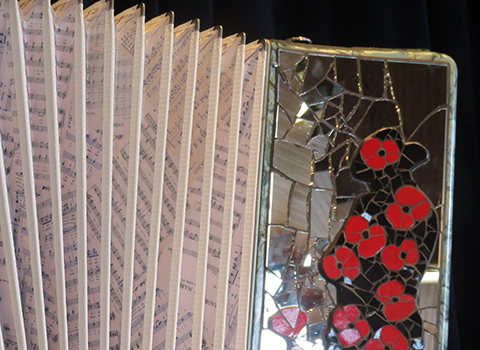 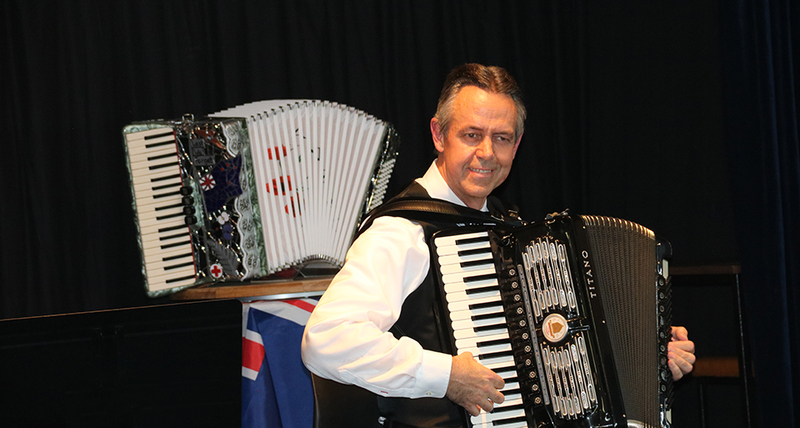 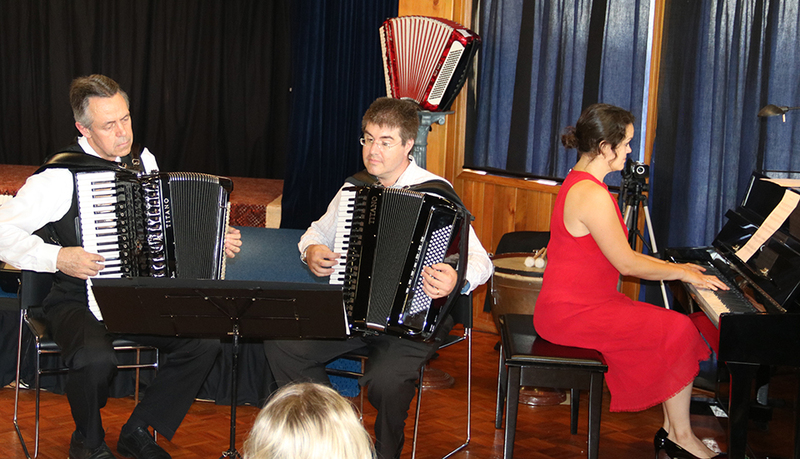 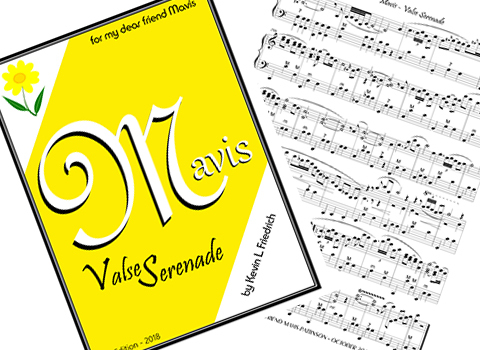 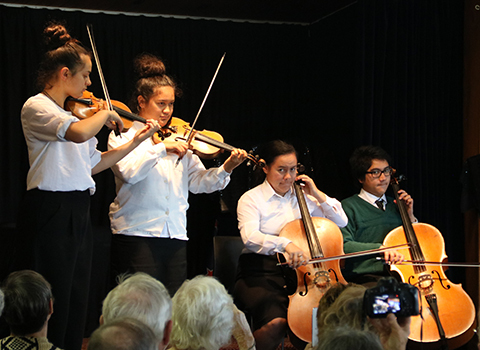 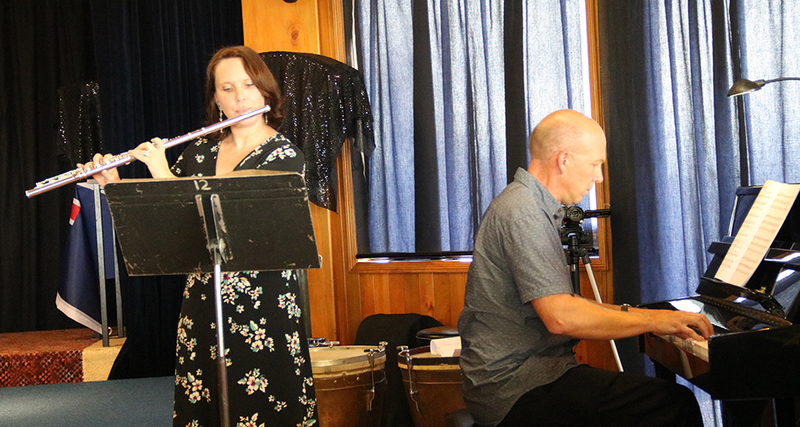 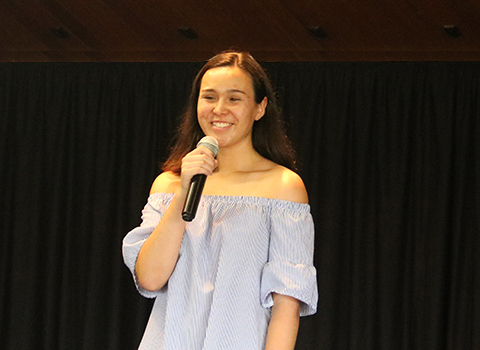 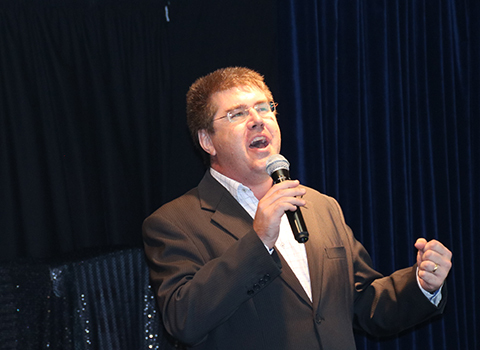 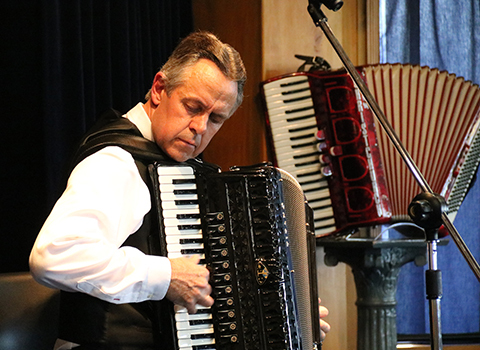 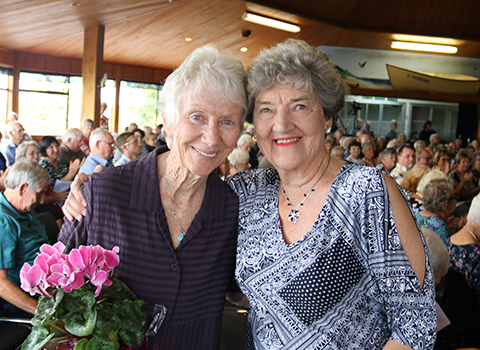 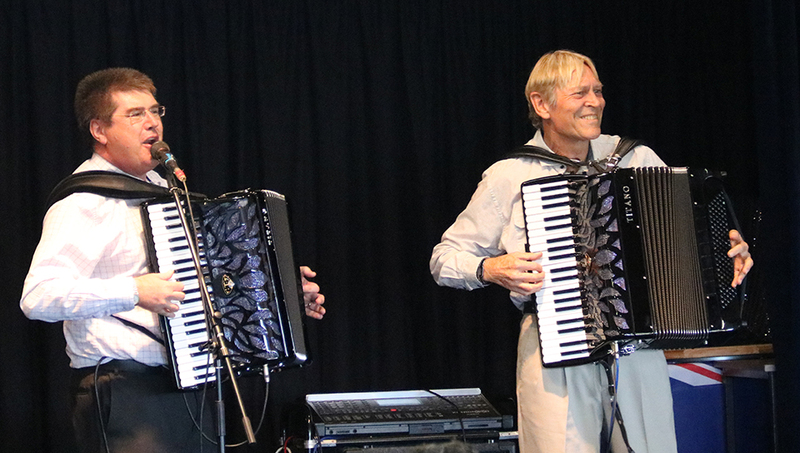 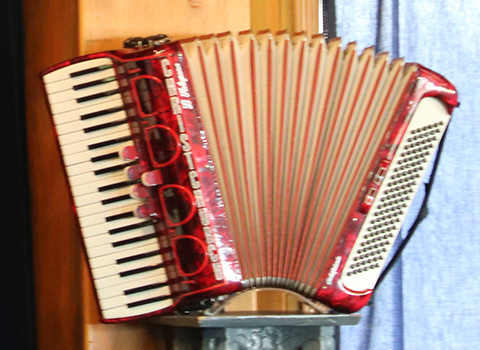 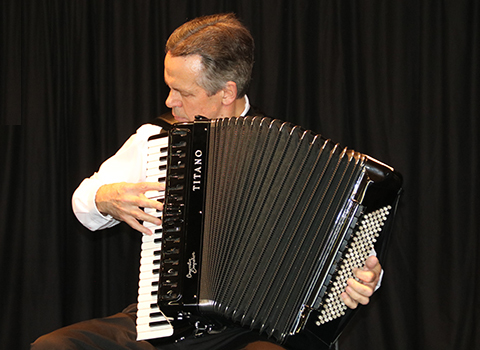 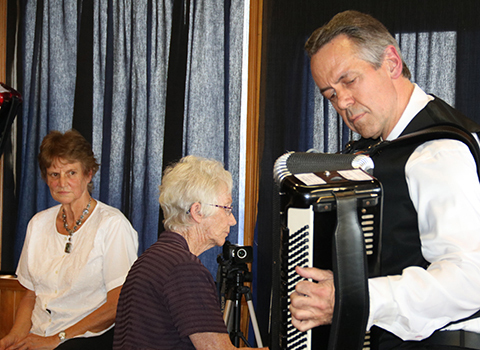 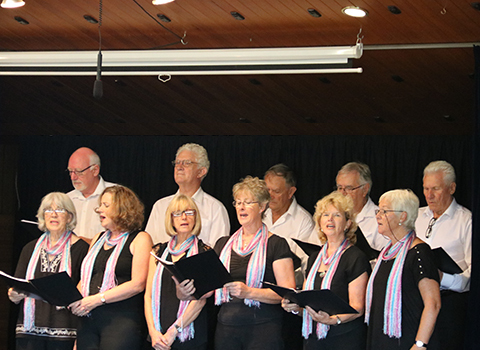 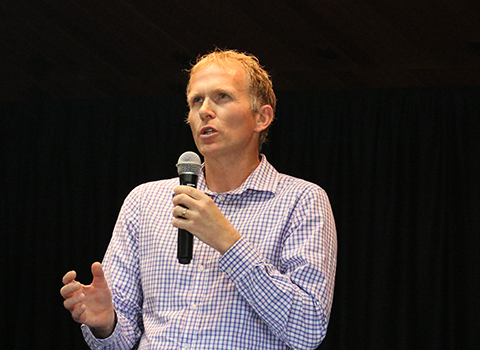 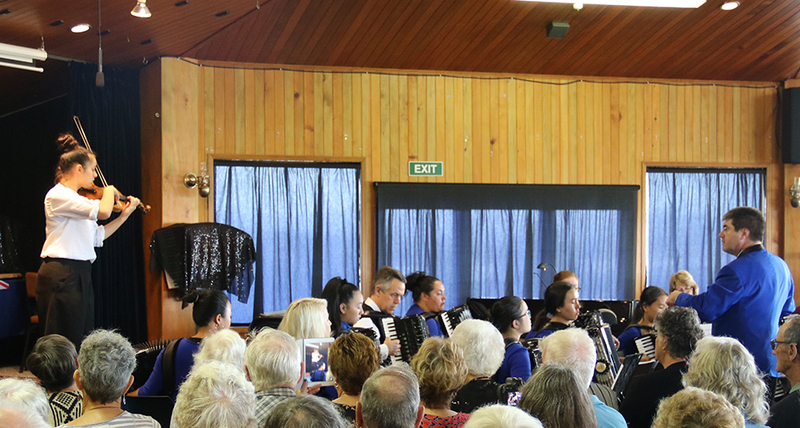 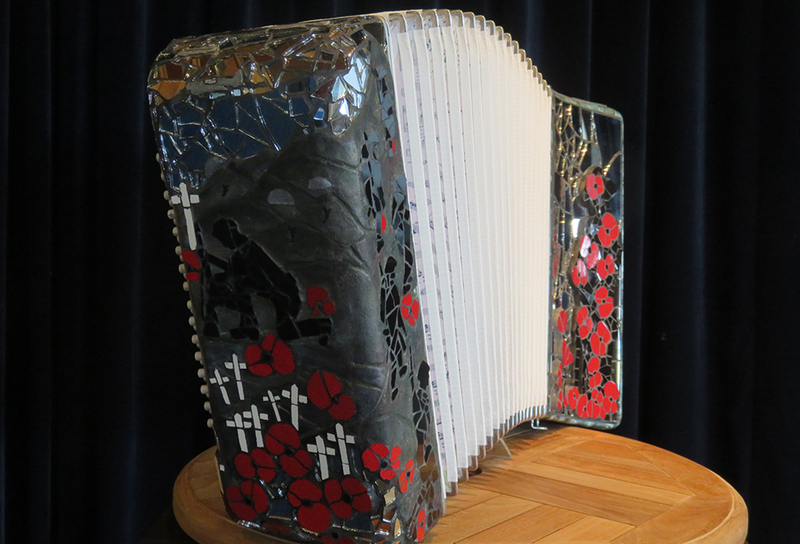 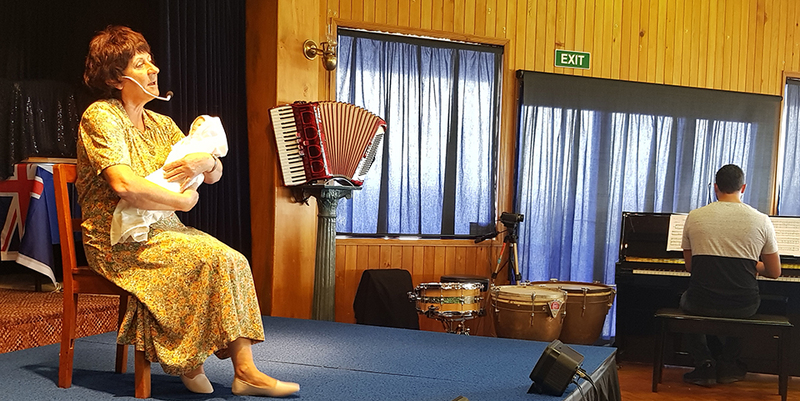 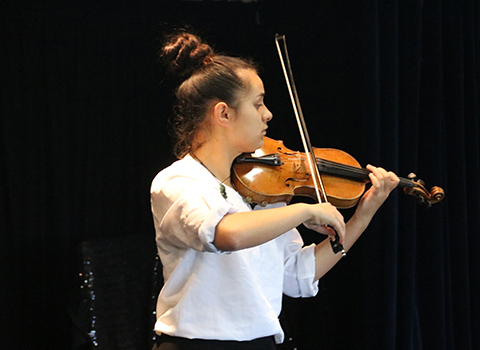 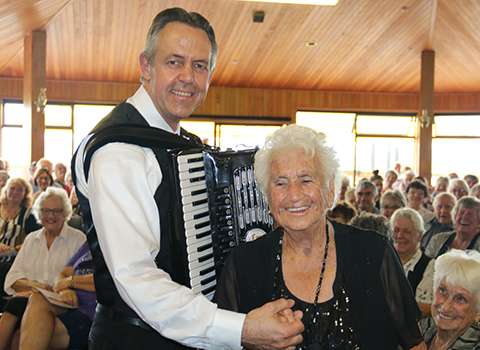 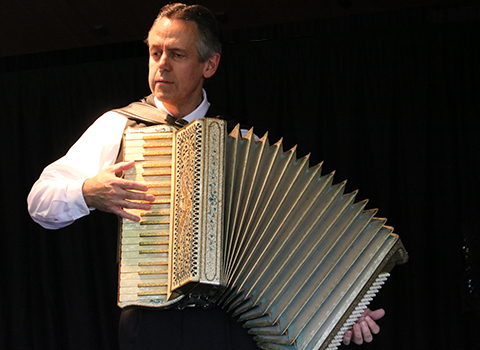 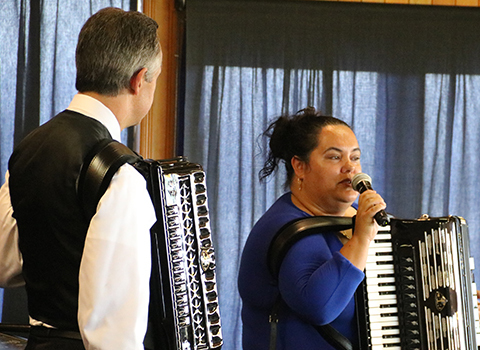 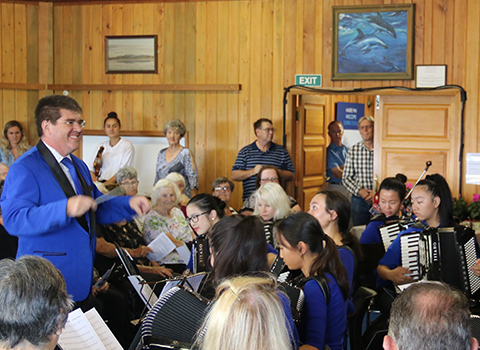 The Lighthouse Function Center in Dargaville, New Zealand was filled to capacity on March 31st, 2019 for the 12th Annual Afternoon of Music with Kevin Friedrich and Friends, a variety Show featuring accordionists and entertainers from N ew Zealand and Australia. 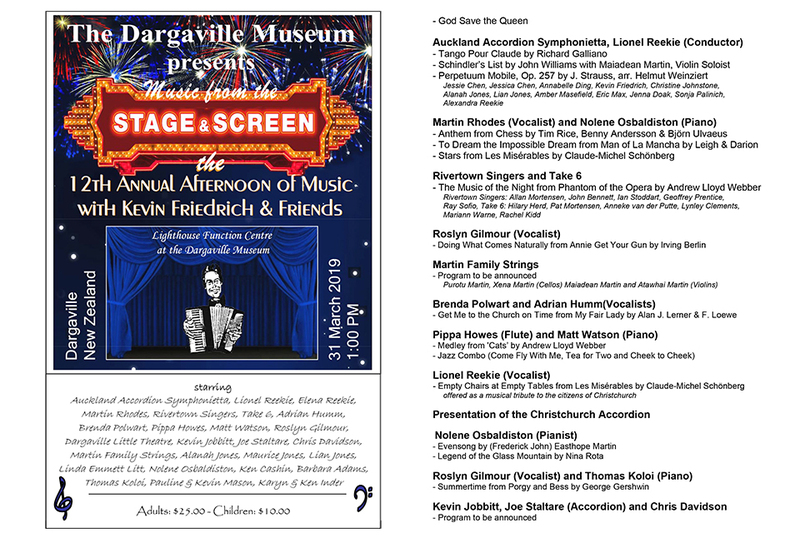 The show called 'Music from the Stage and Screen'. 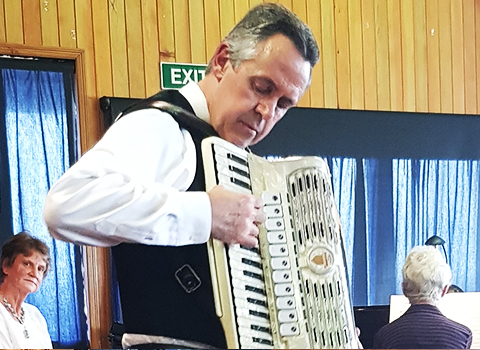 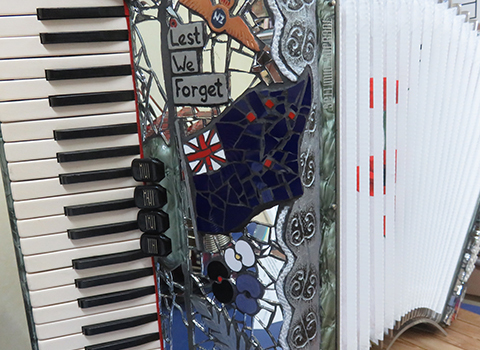 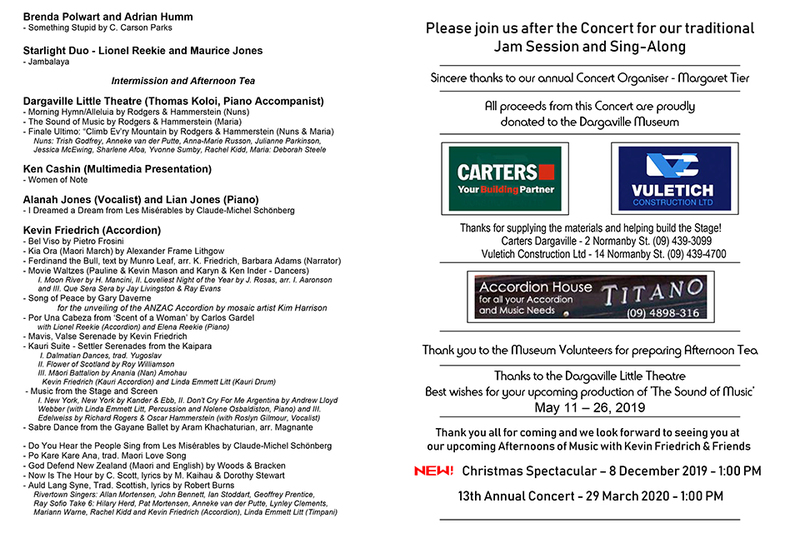 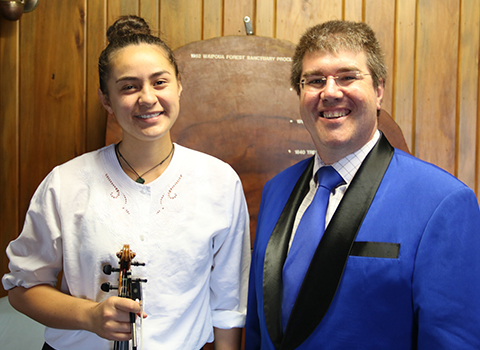 Featuring a variety of artists the event serves as an annual fundraiser for the Dargaville Museum. 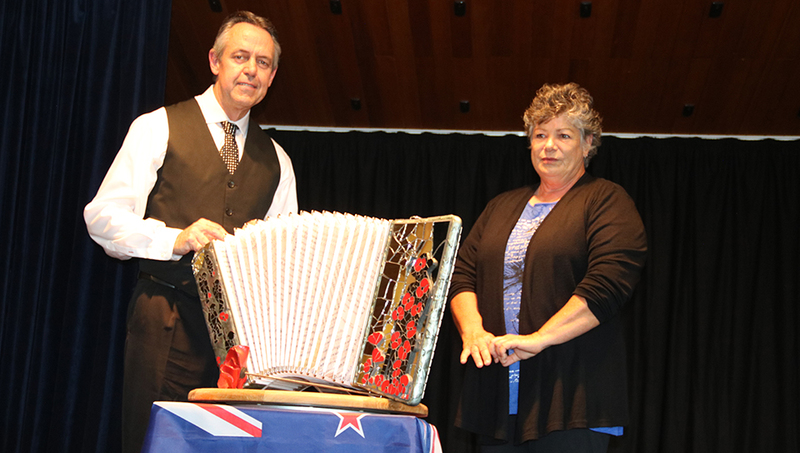 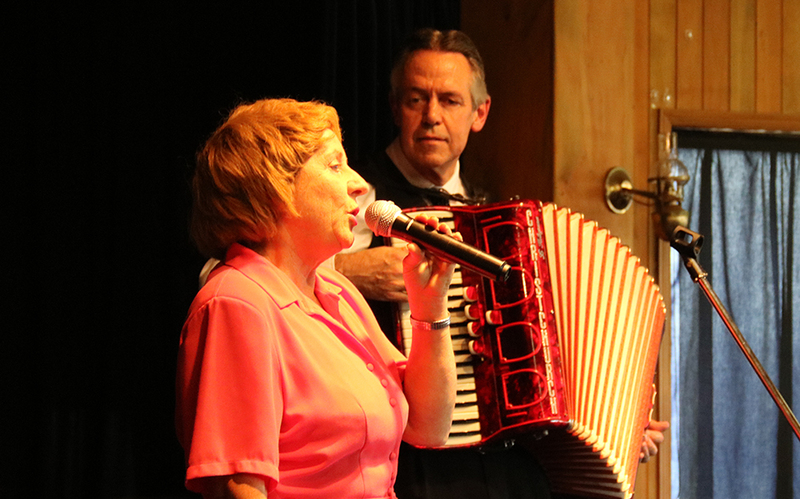 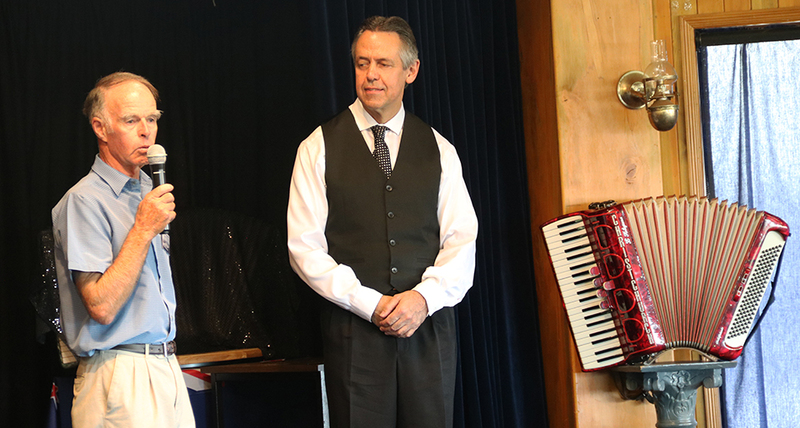 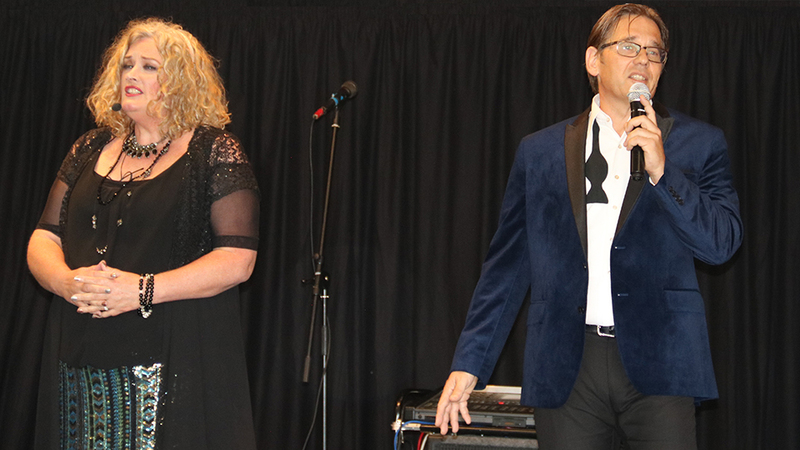 Above left: Kevin Friedrich and Sonja Palinich (President of the New Zealand Accordion Association) welcoming Guests. 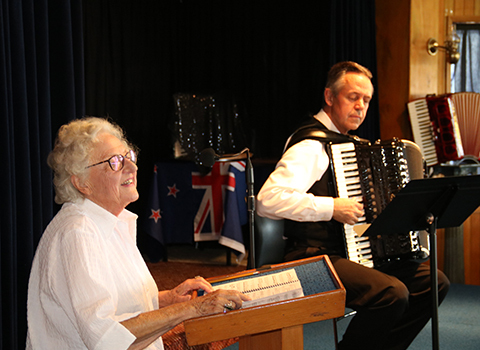 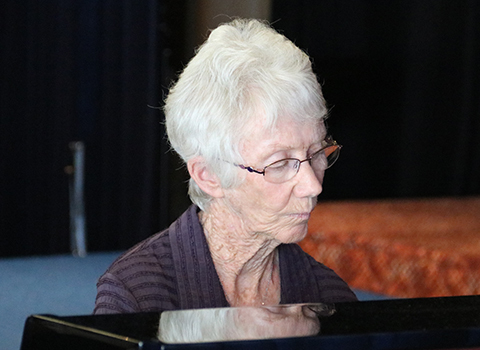 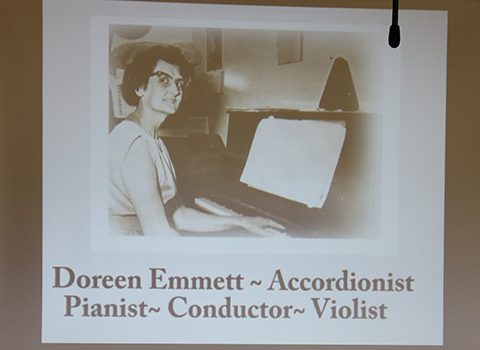 Doreen that was Kevin's original accordion teacher in Dargaville. 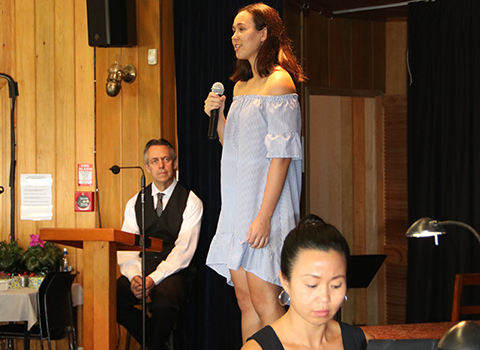 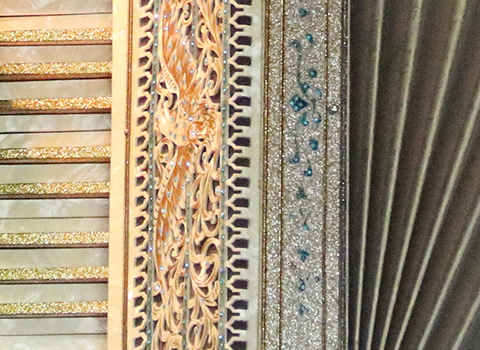 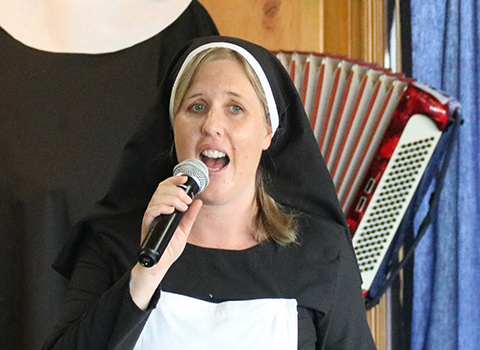 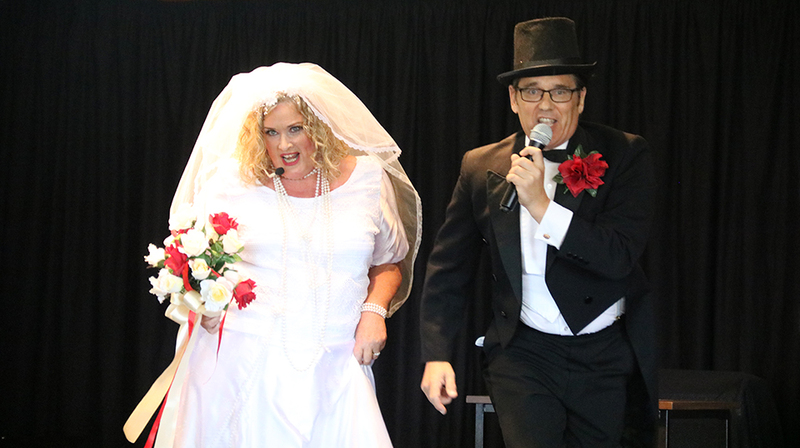 Above left: In what traditionally has become a light hearted part of the Afternoon of Music and Friends, a Skit is performed. 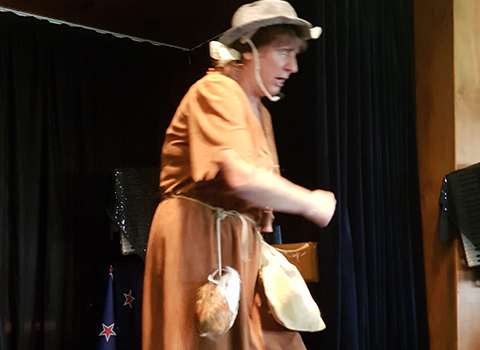 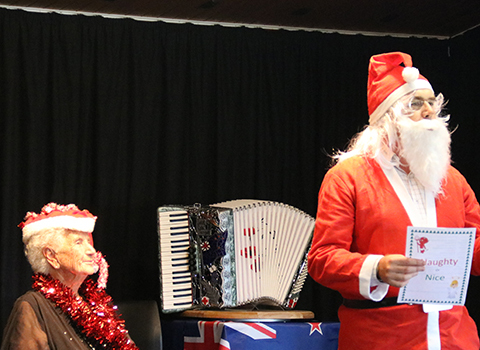 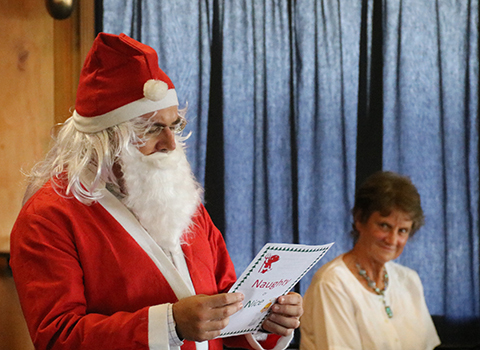 This year, there was a surprise visit from Santa in preparation for the Christmas Show on December 8th, 2019.
using an amusing series of Kiwi-ana to mark the various verses. 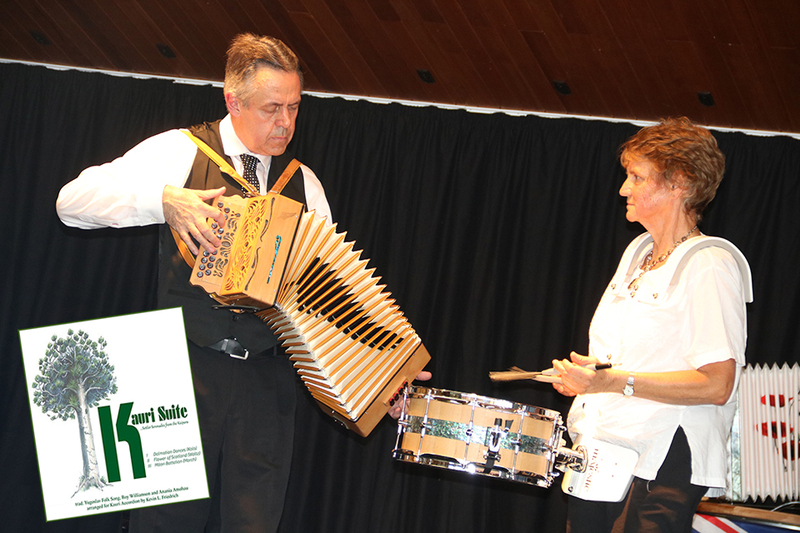 Above right: Kevin and his mother Val after thanking her for her lifelong support of Music and making his early accordion education possible.